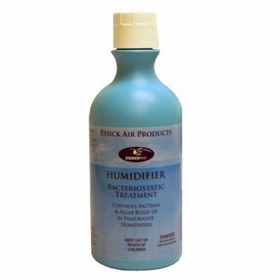 Humidifier Bacteria Treatment #1970: Bacteria Treatment for any evaporative (wicking, waterwheel ro roto-belt) humidifiers to control the build-up of bacteria, algae and unpleasant odors. 2 left in stock. Discontinuing.